At the top of the cliff, there was sometimes an ice-cream van selling Cornish ice-cream (vanilla flavour and completely delicious). 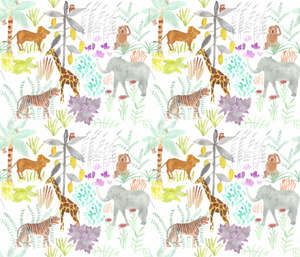 I’ve imagined a wider range of flavours for this fabric design ‘Ice Cream, Please’ (you can find it here). On a fine day, you can see the nearby lighthouse from the beach, and I drew lighthouses at night with their windows shedding light, as well as the big lighthouse light shining out. You can find this fabric here. 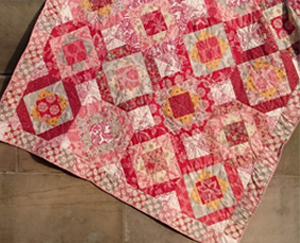 The quilt pattern is in my Etsy shop here, and the fabrics are all available from Spoonflower. Click on the links in the website to find them. There is a small nod to the North-East in these fabrics, though. Next to the deck-chair striped fabric is one called ‘Farne Islands’ (find it here), celebrating the small islands off the Northumberland coast, where you can see puffins and where there are lighthouses (as in Cornwall) to warn the ships away from the rocky shore. If you would like to follow this weekly blog, click the ‘Follow this blog by email’ button at the bottom of the page.